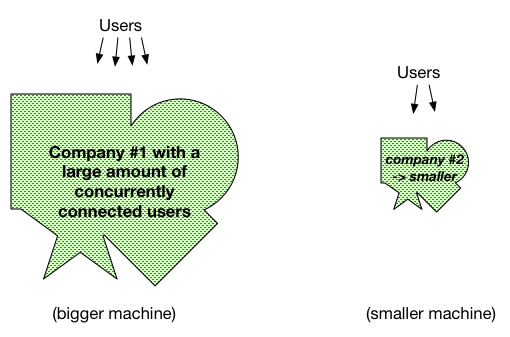 The Microservices community is keen to paint the non-microservies architectures as “monoliths”. This is a false dichotomy, as many have said. I’ll make my attempt at explaining why so. I started in 1989 as a professional programmer on IBM Minicomputers enhancing (and bug fixing) systems that were monolithic. Everything a company needed to function for its operations in one machine, and although modular (by some definition), all had to be upgraded at the same time. We didn’t even really have version control back then. 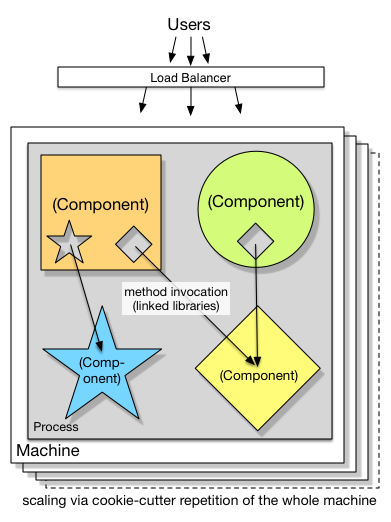 Those systems were also before OO (for the vast majority of enterprise devs), components, discrete services, and Java. The companies whole “system” was on that box. It was upgraded in one go - typically in a big-bang moment that took a weekend, and was prepared waterfall-style over the preceding eighteen months. That was a monolith. In my old life in ThoughtWorks, my chief Scientist Martin Fowler got to define concepts (sometimes) and recap/distill (often) for the software community. Martin did a presentation at the fantastic GOTO conference in November (uploaded in January). 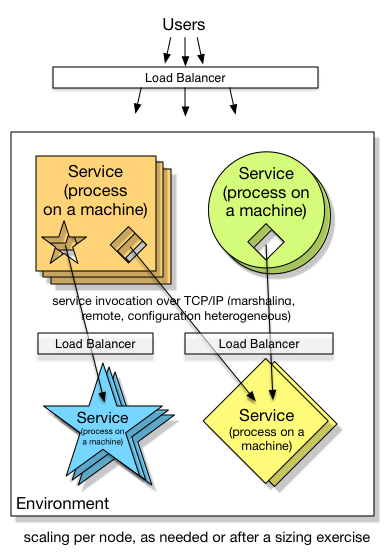 It is a great objective summary of Microservices. He mentiones cookie cutter in passing, and that is one of my passions. So here I am, with an elaboration on the topic. Configuration could be complicated: salestax01.prod.example.com:4444,salestax01.prod.example.com:5555,salestax02.prod.example.com:4444 (round robin), or simpler if a load-balancer and self-registration is the case. CPU and RAM optimized to the nth degree per service. 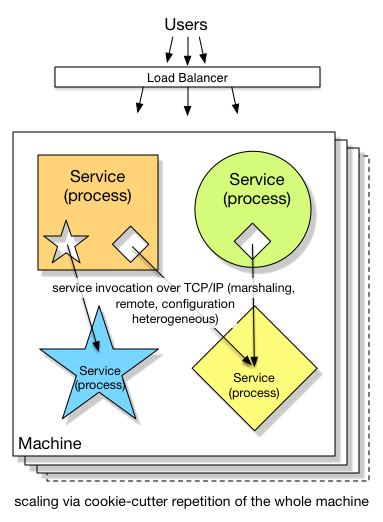 The load balancer could be per service, or one for all services in the environment, or a mix of the two. Configuration is more predictable - everything is localhost:predictablePortNum for each machine, whether QA, UAT or Production. Fixed CPU and RAM on per-machine basis, including the potential for arguably wasted allocation. Requests stay within the same machine as much as possible. Perhaps IPC sockets are a performance boost over regular TCP/IP. Technologies involved can be heterogeneous. Well the connecting fo shapes metaphor breaks down a little, but you get the point hopefully. You only cookie cutter scale a single application. 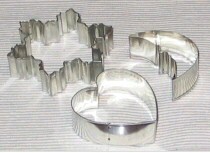 Two applications means two different cookie-cutter shapes and two different horizontal series of deployments. That is true even if they share code/components (or services). Let’s take two of Google’s applications, pretend they are cookie-cutter scaled and elaborate how that would work: AdSense and AdWords. Let us suggest that they have some percentage of common code too. AdSense would be deployed in its own cookie cutter series, on its own release cadence. AdWords, with a different cadence, would have a different cookie cutter and a different production deployment series. Not the same VMs at all. Neither of those two would invoke any lower-tier services, in the cookie cutter style. Instead they are all bundled with the services or components that they need to invoke. Sure, in Google there’s a single multi-dimensional store called Big Table underneath, and that is definitely shared infrastructure. If both AdSense and AdWords needed a “SalesTax” component or service, both would deploy with the compiled code for that. As Google practices trunk-based-development, that pretty much means the HEAD revision of SalesTax at the time of deployment. That means that for AdSense and AdWords in production at any moment in time, they might have different versions of the SalesTax component. Temporarily so, or leapfrogging, it’s all the same - it is whatever was (more or less) at HEAD revision at the time of release. Trunk-Based Development facilitates that particular deployment mechanism very well. If the SalesTax component (or service) is included into the cookie-cutter solution, then there’s no version number (of the API) applicable. No version number if necessary because Continuous Integration tested everything at HEAD revision together in hundreds if not thousands of times, in the run up to the release. The underlying BigTable records for SalesTax probably have to be backwards/forwards compatible for a couple of versions of the SalesTax service or component, but no more. I am assuming that the only consumers of the SalesTax component/service are within all within Google, making it easy to do lock-step upgrades and cookie-cutter scaling. Sometimes that is not always the case, service APIs can be published for use outside the company. Now, as we look the above AdSense & Adwords team-separated and deployment-separated deployment style, that is in no way microservices and in no way monolith. Therefore microservices advocates - please stop saying the alternative to microservices is monolith. Incidentally, I have no idea whether AdSense or AdWords have any need for a SalesTax component, or what that would do.